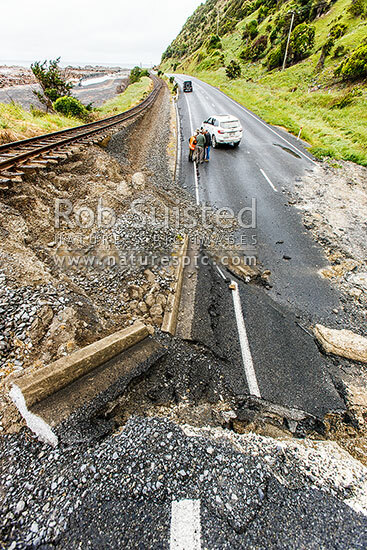 Earthquake damage to SH1 road and railway uplifted over 4 metres by the Papatea Fault rupture. Faultline visible entering sea behind. Kaikoura M7.8 earthquake, Waipapa Bay, Kaikoura District, Canterbury Region, New Zealand (NZ), stock photo.